The lovely Hels of the Hels Project, and Abbey of Abbey Louisa Rose, and I decided we’d been chatting on Twitter for far too long, and it was in fact high-time we got together! 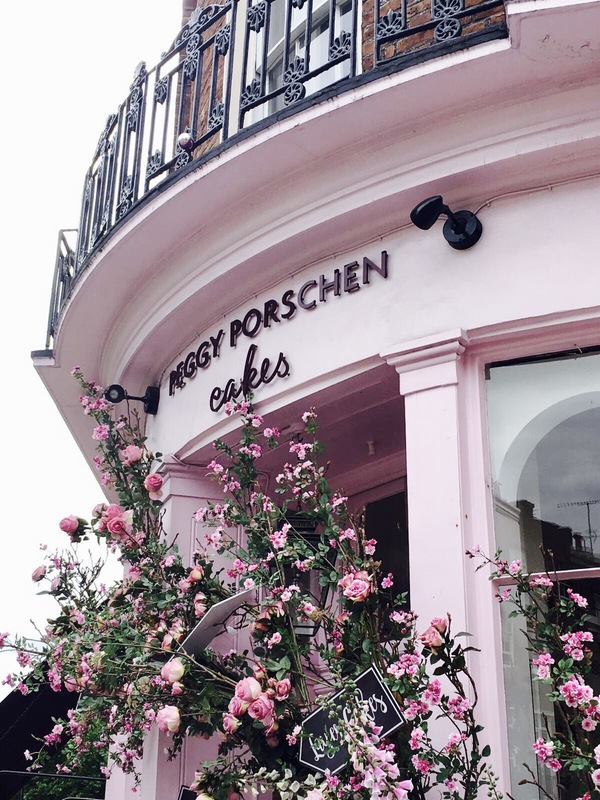 One group WhatsApp and several exchanges of determining what dates we were free and where we could go, we settled on Sunday 16th, and to head to the most instagrammable place Central London has to offer – Peggy Porschen. ^Pic by Hels. That girls flatlay skills! Literal heart-eye emoji at Abbey’s outfit! excuse how awful I look here – I ended up running super late so hence the minimal makeup and my hair + HUMIDITY are not friends. 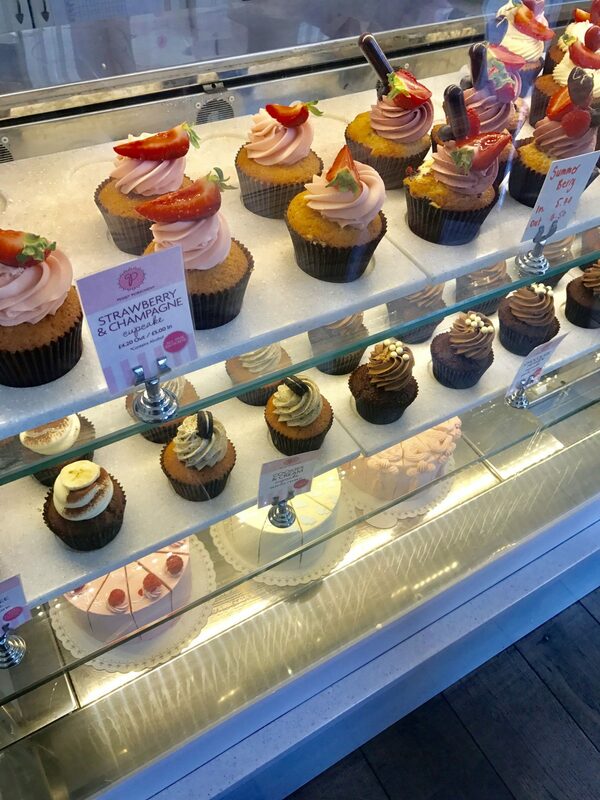 Peggy P’s is super-cute; price-wise it’s not too bad, we each paid around £8 for cake and a lemonade. The seating inside is teeny tiny, however they do have outside seating which was lovely on a day like today but minimally covered. We were also ridiculously lucky to grab a seat (all thanks to Abbey and her seat-nabbing prowess!) – it gets insanely busy there – we actually witnessed a table being asked to leave as they’d been there a few hours and the queue was out the door. 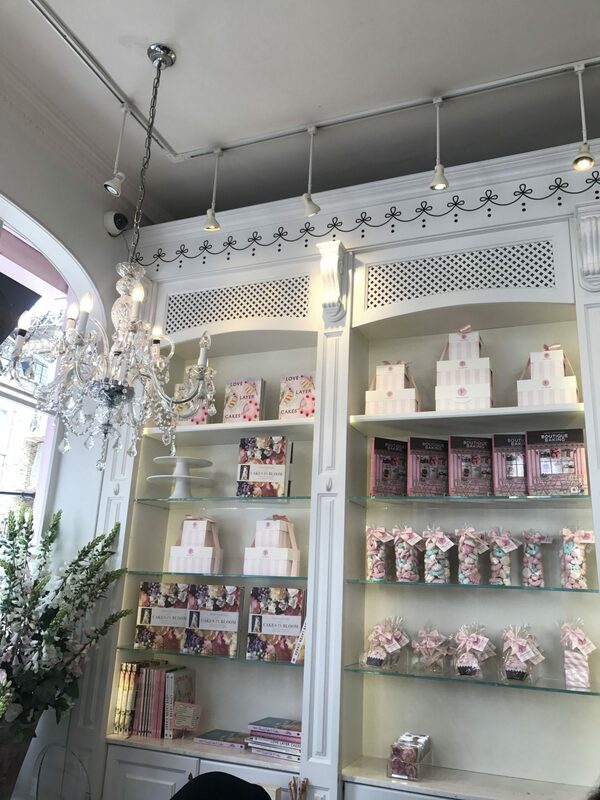 I’d definitely recommend Peggy Porschen’s – it’s really adorable, even if you just go for a little meander / to snap a pick on the door step! 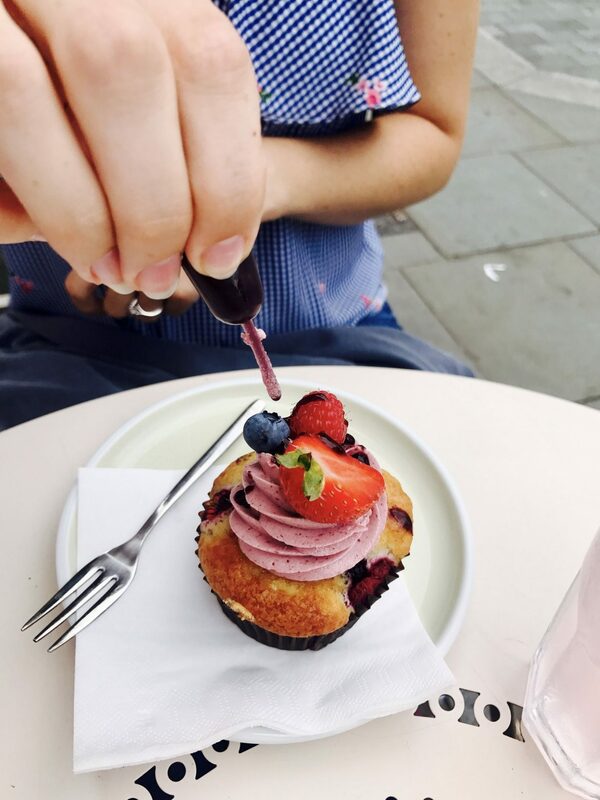 Grab yourself a cake and wander round Victoria – I’d never really realised just how beautiful that part of town was, until we walked off our cake taking a stroll around some of the back streets. 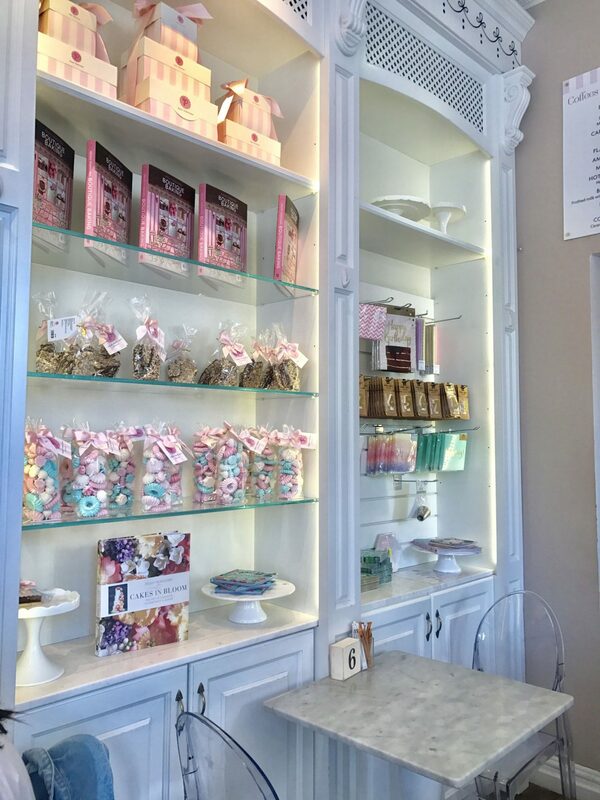 Have you been to Peggy Porschen? Previous Post The Best Tips for Perfectly Priced Travel. I love this post so much! So pretty and pink and full of general loveliness! I had the best afternoon with you girls, I can’t wait for the next time! Right back at you lovely lady! Roll on the next! Aww reading this made me so incredibly happy! All the photos have come out beautifully! I am glad that our girls day out was an improvement on your last experience of meeting someone from the Internet and that we didn’t have to call things off after half an hour! 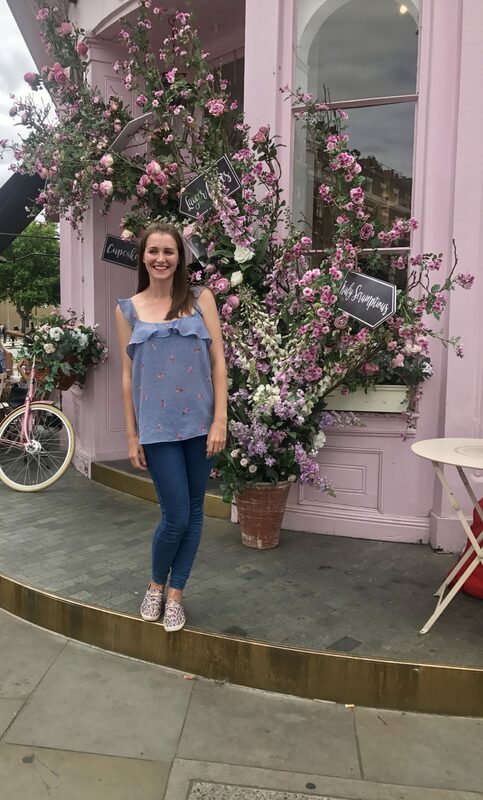 🙈 It was such a pleasure to spend the day chatting with you and Hels, Peggy Porschen certainly didn’t disappoint! Looking forward to the next one already! Haha a relief for you and me, I assure you! The surroundings were lovely but it really was yours and Hels’ company which made the day so lovely! Bring on the next! Awww this is too cute! This is so lovely that you got to meet two lovely from the pod, we’ve been honoured to have met Abbey before, she’s lovely isn’t she!? We’d love to meet you all and omg that place. We live in london and still haven’t been, one day one day! Loving all the pictures and you’re all so beautiful! Glad you had an amazing time! Ooh you’ll definitely have to check it out when you get back from your travels all around the world! Abbey is for sure the best! 🙂 Thank you for your lovely comment you are so sweet! Love a pink colour scheme! 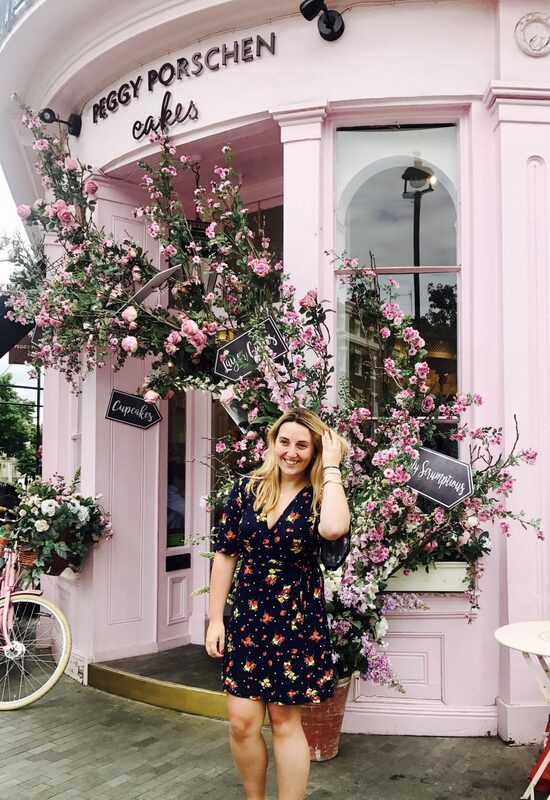 It was so lovely, you’ll definitely have to check it out when you’re next in London! This looks like it was such a fun day!! I’d love to go on a little bloggers day out like this. 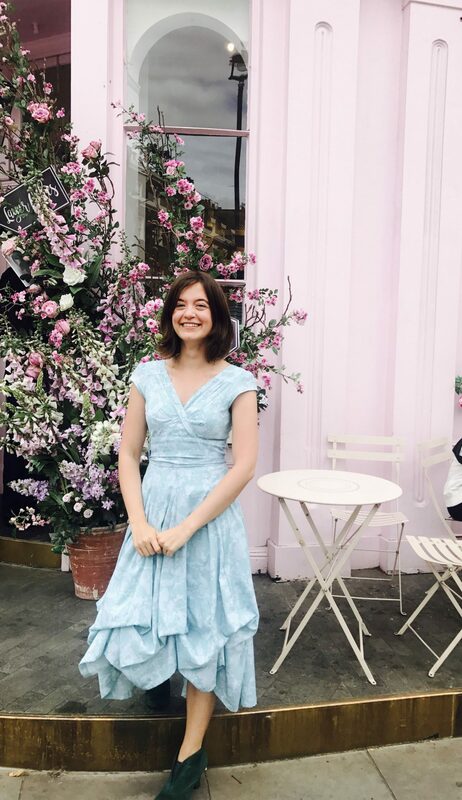 All of your outfits are gorgeous, and the cakes look amazing! Aw yes we definitely need to organise a big meet up! the cake was so delicious I can’t stop thinking about it! Great post! Those cakes look gorgeous! Must have been great to meet a blogger friend! I totally wish I could have joined you all. That place looks amazing and is so instramable, bloggery and aesthetic! You all look bloody gorgeous and summery and fit in perfect at this little cafe!!!! Awww thank you Charlene! We’re organising a nice Autumnal meet up so you will definitely have to come to that! Aw its so lovely, I cannot describe to you how heavenly the cake is there! Def visit when you’re in London it is super worth it! Lovely post! I’ve been meaning to visit for so long now but haven’t got round to it just yet. It’s so lovely in there! Can’t recommend it enough, I keep getting hungry just thinking about cake! Erm I am SO in love with your blog!! It is absolutely everything I want to see in a blog. Gorgeous photography, opinions and a feel that I’m literally sat on the sofa with a cuppa having a chat! I am loving how there’s a bit of pink everywhere – it works so well! That’s amazing that you guys were all around the same area to meet up- I think all bloggers are on the opposite side of the world from me hahaha And yes to exploring your own city! I feel like when we’ve stayed in one place for so long we think we know everything about it only to realize there’s still more to discover! Also wow what! a! flatlay! 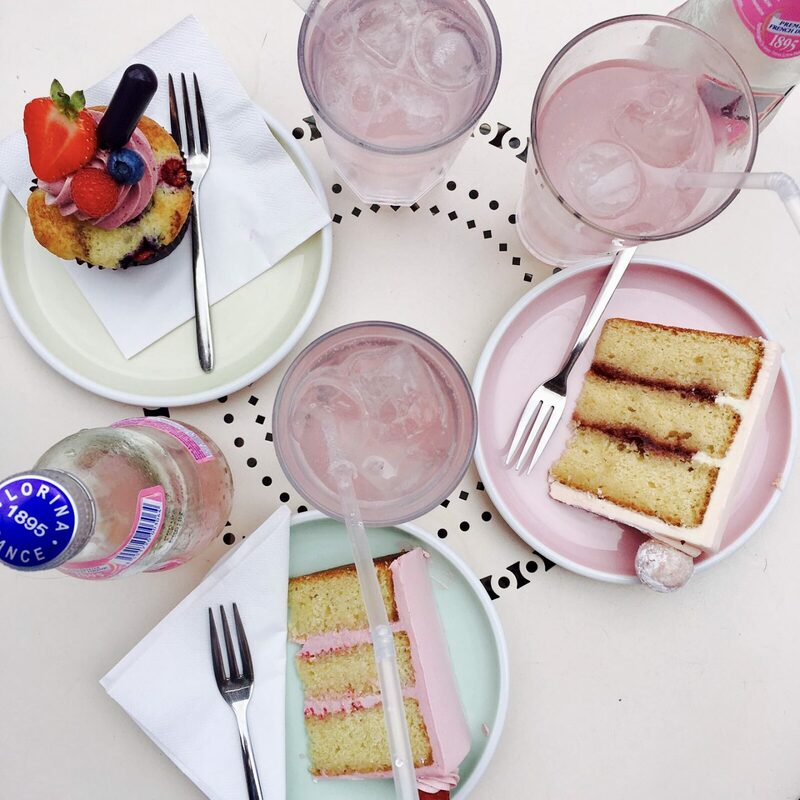 The pink frosting on the cake, pink lemonade and the strawberry muffin – everything is on point! I’m loving the bike with the flowers in the basket in front! 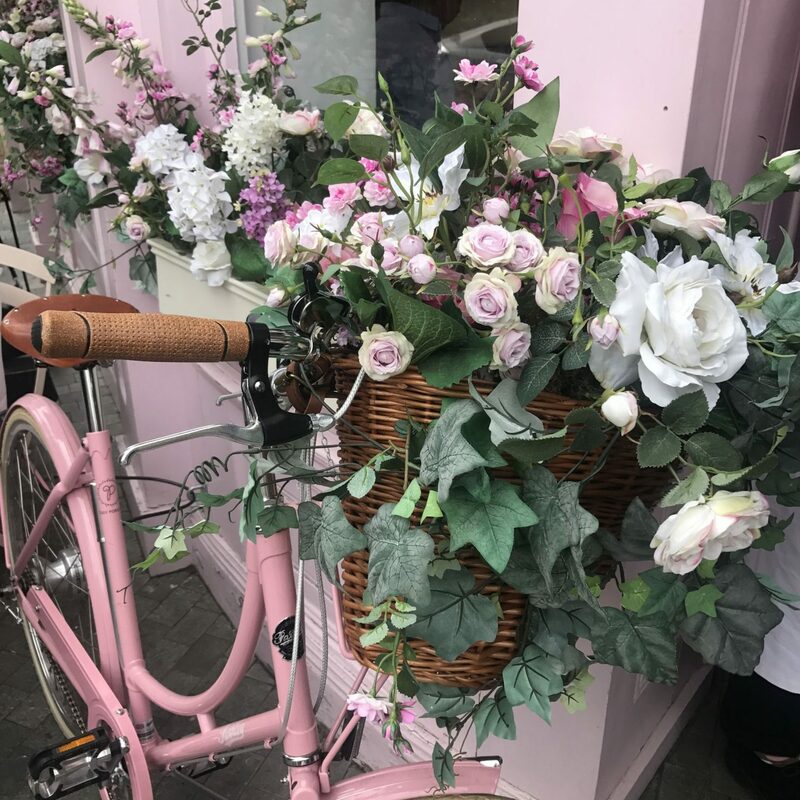 This just reminded me how much I want to just take a bike ride and just explore – also pink everything! Personally not a huge fan of pink but I’m loving everything about this place! “The people watching” hahaha it’s such an aesthetically pleasing place I think ‘Spot the blogger’ would be a really fun game to play because it’s like a magnet! You all look amazing – love all of your outfits! Thank you for your lovely comment! It was definitely a people-watching haven! Great idea about the bike ride, only I can’t ride a bike 🙈 ha! It’s on my bucket list to learn and get sorted so we’ll definitely have to consider it as an option for the bloggers day out! Seeing all the get togethers lately has me seriously wishing I lived closer to the bloggers I talk to most!!! Ah thank you lovely – you’re the sweetest! The photos in this post are SO BEAUTIFUL! Wow 😍. I’ve never heard of this place before, but it definitely looks amazing, right up my street! I don’t tend to wander to this part of the country very often, but if I do happen to I will for sure check it out! You three is so cute on photos. And there is so pink !